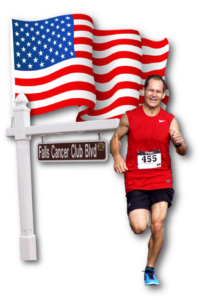 JOIN US THIS FOURTH OF JULY TO SUPPORT THE FALLS CANCER CLUB! 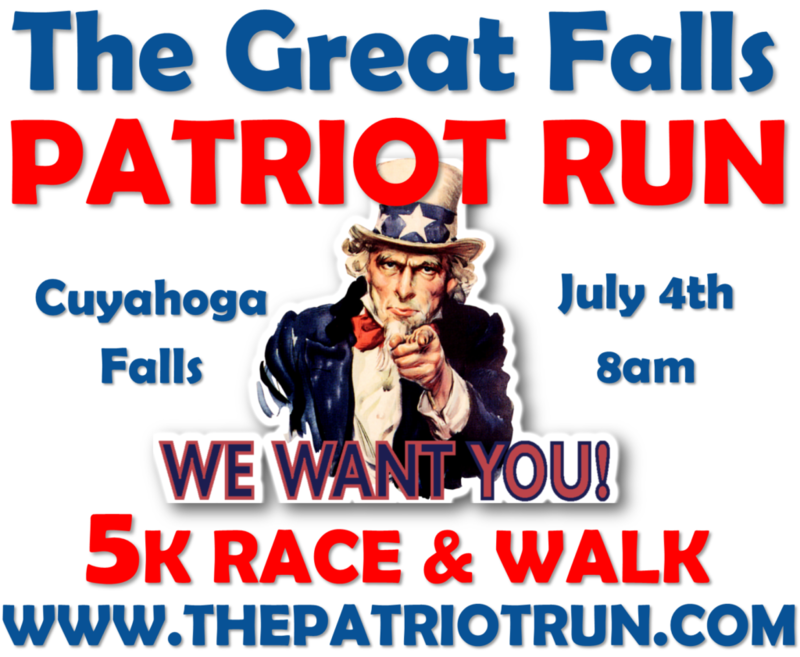 Uncle Sam, Falls Cancer Club President Mel Dull and Cuyahoga Falls Mayor Don Walters all invite you and your family to Celebrate America’s Birthday by participating in the first GREAT FALLS PATRIOT RUN! A great way to kick off your 4th of July! 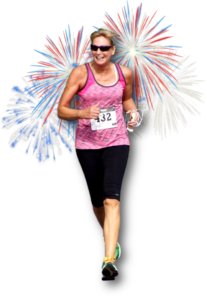 Why Run or Walk This NEW July 4th Holiday Race? 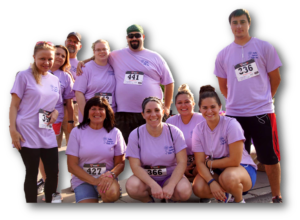 The Great Falls Patriot 5K Run / Walk / and Kids Fun Run is a fund raising event in which 100% of the entry fees are used to assist Cancer patients who are being helped by the Falls Cancer Club. This is a family friendly event that will be lots of fun for all involved. Please gather up your family and friends and join us on July 4th. SPIRIT TEAM REGISTRATION SPECIAL–GROUPS OF 2-10 CAN PARTICIPATE FOR A DONATION OF ONLY $10 PER PERSON. THIS SPIRIT TEAM OFFER EXPIRES MAY 31ST. Learn More About Spirit Team and how to register CLICK HERE. Start off your holiday by making a difference for those struggling with cancer. To sign up click the “Register Now” button. For all of the event details see below! Learn more about the good works of the Falls Cancer Club. Thursday, July 4th at 8am. Starts and finishes at First Christian Church, 2253 3rd Street in downtown Cuyahoga Falls, near the Natatorium & Cuyahoga Falls City Hall. Course is on residential streets and traffic is controlled by the local safety forces. 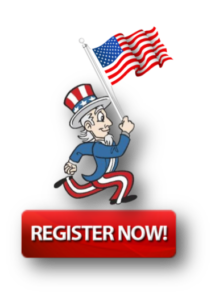 SUPER “SPIRIT OF 1776” REGISTRATION SPECIAL….NOW THROUGH MAY 31ST. For the 5K there will be awards for the top 3 overall finishers both male and female as well as the top 3 in each age group both male and female. 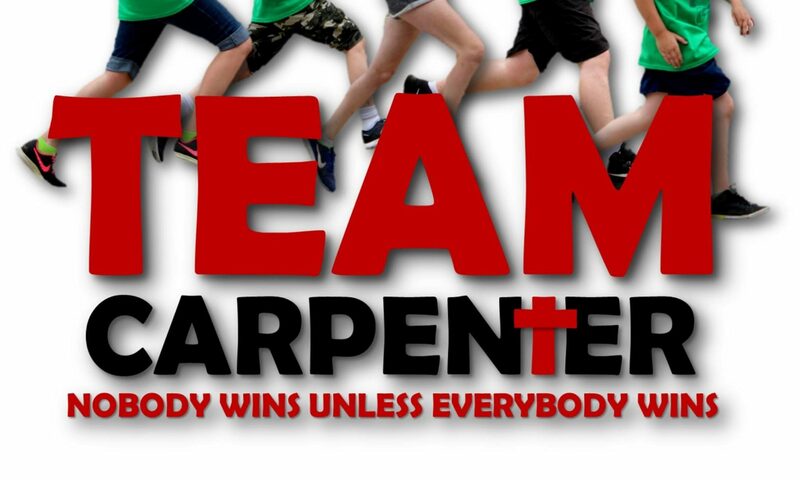 5K Age Groups are: (Separate Male and Female) 10 & under, 11-14, 15-19, 20-24, 25-29, 30-34, 35-39, 40-44, 45-49, 50-54, 55-59, 60-64, 65-69, 70 & up. 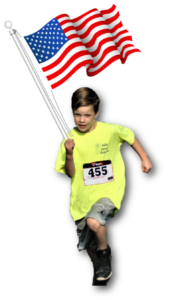 All Kids Fun Run participants will receive a finisher’s award. Early packet pick up will be at First Christian Church on Wednesday, July 3rd from 1pm to 7pm. WE STRONGLY RECOMMEND THAT YOU ATTEND EARLY PACKET PICK UP TO AVOID LONG LINES ON RACE DAY! Late registration will be taken on July 3rd at $40 for the 5K and $20 for the kids fun run. Sorry shirts not guaranteed for late registration. Please share information about this race with your family, friends, co-workers and neighbors. It’s hard to find someone who’s life hasn’t been touched by cancer.